Gary Ryan from Organisations That Matter explains five key steps to enhance you're capacity to listen. Visit here to learn how you can enhance your communication skills so that you are more effective in your workplace. If you are leading a team within a poor company culture, how can you increase the motivation of your team members? Gary Ryan explains a series of practical behaviours that a Team Leader can do that will enhance the self-motivation of their team members. Find out more about creating Teams That Matter® here . My audacious project to give away $1.97 million worth of high quality online training over five days has just been launched! Have you recently graduated from university? Are you within the first 10 years of your career but haven't quite made the progress you desire? Do you believe in taking responsibility for your personal and professional development? Are you an experienced employee who would like to 'refresh' your knowledge and skills? Are you dissatisfied with your current employer and want to find out how you can improve your performance so that you can 'develop your way into a new job or career'? Are you a consistently 'good' performer who wants to achieve a higher level of performance? Check out the full details here! Over the years of helping my clients create more success, one factor that stands out more than any other is your mindset. Your mindset matters. A lot. Think about it. Right now, are you as successful, across all aspects of your life as you desire? If you are, terrific! Keep doing whatever it is that you are doing that has created your success. Most people are not as successful as they would like to be. So what's stopping them from being as successful as they desire? Better still, what is stopping you from being as successful as you wish to be? Logically if you are not as successful as you desire, then your theories, or mindset for creating success is not working, at least not completely. It might be working in some areas of your life, but not all areas of your life. In fact, if you really think about, you have multiple theories about success. You will have theories about how to create successful relationships, how to create a successful business, how to create a successful career, how to be healthy etcetera. Some of these theories will be working. Some won't be, but you'll still be using them. And then you wonder why you aren't as successful as you desire. Here's the kicker. Some of your theories for success used to work. So you keep using them. However the world changes. You change. Yet you keep using these old theories that used to work. These theories are embedded into your mindset and stop you from creating future success. Yes, that is right. Your old theories that once created success are no longer valid and new theories must be adopted. The evidence is as plain as the nose on your face, especially if you're not as successful as you desire to be. When did you last consider your mindset? Are you even aware of your theories for success? How do you know they still work? One mindset that many employees have is that it is their organisation's responsibility to develop them. This mindset is akin to abdicating your responsibility for your continued development. Why would anyone consciously make that choice? The issue is that people don't consciously make this choice, they subconsciously make this choice. The outcome of such a mindset is that the person loses. Big time. If your organisation doesn't invest in your development then, with this mindset you are screwed. To be brutally honest an organisation that doesn't prioritise or invest in your development isn't a high performing organisation and probably isn't worthy of your full talents. But if you don't develop yourself under such circumstances then your full talents won't be worth much either. Not to prospective employers anyhow. And then you're stuck. You're stuck with an employer who isn't developing you and because your mindset is that it is their responsibility to do that, you don't improve yourself. And then you can't get a job anywhere else. Not a very secure strategy if you ask me! At the same time, your mindset is the most important factor for creating the future success you desire. If you don't change your mindset or maintain a strong and proactive one, you'll keep doing what you've been doing and you'll continue to be dissatisfied with your level of success. It doesn't have to be that way. Improve yourself and take control of your development. Use whatever development your organisation offers as a bonus and take charge of creating the success you desire. 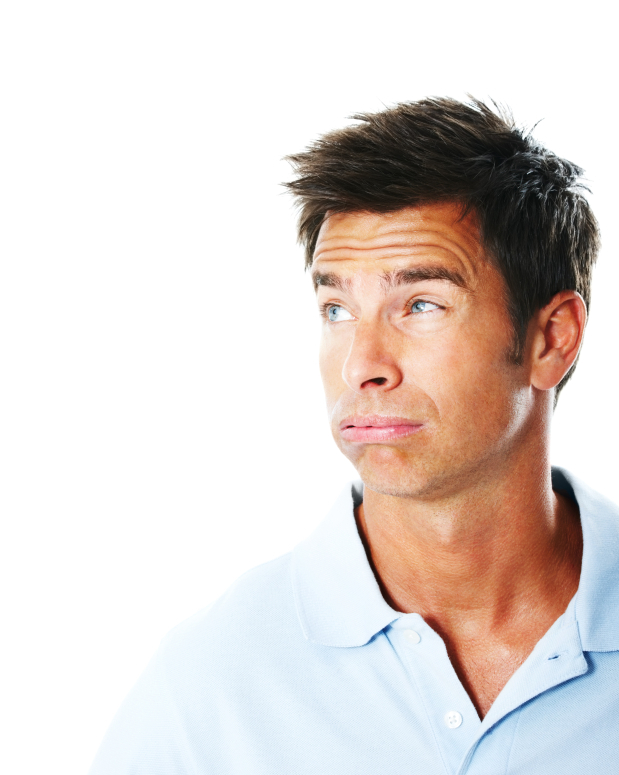 Do you provide Leadership That Matters® ? Many people are confused by the concept of innovation. Gary Ryan from Organisations That Matter explains the concept in simple terms and provides practical advice for how you can enhance your practice of this critical skill. 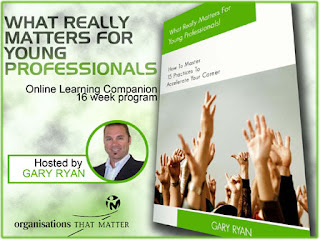 This recording is an episode from the What Really Matters For Professional Development Podcast by Gary Ryan. The recent spate of independent school closures and/or going into voluntary administration concerns me. It concerns me that these schools have managed their way into such a financial mess, but I am even more concerned about the knee-jerk reaction that may be caused by such poor administration. Schools are not and never will be businesses. I'll say that again. Schools are not and never will be businesses. The purpose of a business is to serve its clients and stakeholders and to make a profit. The purpose of a school is to educate and to provide a sense of community and belonging and while doing so, be financially astute and responsible. There is a huge difference between running a school so that it fulfills its purpose to educate, than to run a school for the purpose of being financially viable or profitable. One of my Executive Coaching clients is a school principal who has been doing a magnificent job in taking his school from being good to outstanding. His school's recent review, coupled with a standing ovation that he received at a speech he gave to 200 of his peers as he spoke from the heart about his journey over the past 2 1/2 years at a recent conference, are indicators of the success of his journey. He is absolutely passionate that the school he serves exists for the education of its students. The school does not exist to make money. Yet he uses business and financial management principles as tools to help him deliver on the purpose of his school - to educate its students and to provide them with a sense of community and belonging. His understanding of how the system within which he operates from a financial perspective works is second to none. He uses that knowledge to ensure that the financial management of the school serves the purpose of the school. In this context, understanding why the school exists is paramount to ensuring that financial management practices serve the purpose of the school, and ensure that the cart doesn't come before the horse. Schools do not exist to make money. This doesn't mean that they can't make money, but if making money becomes the purpose for the school, then education will suffer. Purpose is really that powerful. The recent school closures are indicators that something has gone terribly wrong. School leaders need to have a strong understanding of finance and need to use that understanding for the benefit of schools. A closed school doesn't serve any purpose. In closing I encourage better fiscal management of schools. But I urge those of influence to ensure that the school's finances don't become the focus and the reason the school exists, else our children will ultimately suffer. Gary Ryan from Organisations That Matter reflects on conversations with participants in his leadership development programs about the challenge of 'Truth to Power'.